Embark on a thrilling adventure to help Albert, a young magician, restore the Key of Eiron and save his sister kidnapped by Sibelius, a wicked sorcerer. You'll never feel lonely in your fascinating travels - your aide, Felly, will faithfully follow you, no matter what obstacles you face. Download free full version game, solve brain-teasing puzzles, hunt for cleverly hidden items and try your hand at challenging board battles in this amazing game full of surprises! Free Game Features: - Enchanting world of magic inhabited by elementals; - Immersive and gripping storyline; - Over 30 puzzles and mini-games; - Over 20 amazing locations; - Magic board battles between elementals. 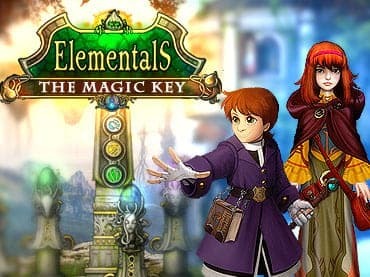 If you have questions about Elementals: The Magic Key game, please contact us using this form.